There’s no shortage of online casinos. At first sight, they all seem to be much the same. They just about all offer deposit bonuses. They all have eye-caching banners and advertisements. They all claim to advocate fair play and honesty. But with a bit of research, it doesn’t take long to find many online casinos don’t live up to their hype. This article discusses how to choose the best online casino. 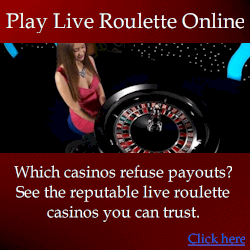 There are countless “best online roulette casino” review sites like bestonlinecasino.uk. Some are informative and unbiased, whereas some are shameless promotions of disreputable casinos. So you can’t rely on review sites alone. You need to consider the larger picture. Where review sites come in most useful is they usually provide a list of features that interest you. For example, you may be looking for the largest welcome bonus possible. But beware that bonuses always come with strings attached. Most notably, they require you to wager at least a specific amount before you are entitled to withdrawal your bankroll. The purpose of this is to reduce the chances of you profiting. It may seem like the casino is giving you free money. But the reality is all a welcome bonus does is reduce the casino’s edge against you, temporarily. Online gambling forums provide players with the means to share experiences with online casinos. So if a casino has been dishonest, you’re bound to find complaints on forums. But don’t believe everything you read. One negative comment from an anonymous poster can cost a casino hundreds of thousands in lost revenue. One casino’s loss is another casino’s gain. So it’s not out of the question that a dishonest casino may pay “shills” to discredit an honest casino, and promote a dishonest as honest. There’s nothing stopping it from happening. 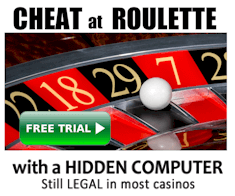 Keep in mind many of the smaller online casinos are run illegally. These are known as “rogue casinos”. And if an illegal casino operator can boost their income with a few well-positioned fake negative reviews of competitors, the probably wont think twice. Furthermore, often forum members may be upset about losses and blame the casino, then post “revenge reviews”. The player’s loss may be just $100 or so, but the damage from negative reviews of the casino would be greater. 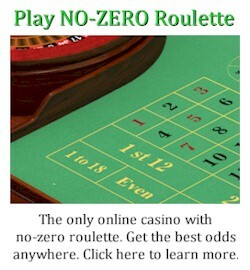 Probably the most common complaint about online casinos is payout refusal. It is of course the most serious problem. But from my own experience in running various gambling and roulette forums, the vast majority of complaints about payout refusal aren’t justified. Firstly, the payout refusal is usually because the player didn’t comply with the deposit bonus rules. They may have needed to wager a specific amount before withdrawal is permitted. This is not the casino’s fault – it’s the player’s fault. Secondly, a casino may delay a payout pending identification documents for the player. This is because of compulsory KYC (know your customer) laws. Basically the casino is obligated to identify their players, and will usually require valid identification to process withdrawals. Why? To prevent money laundering. Without the requirement, funds could be deposited by one person, then retrieved by another. But you might argue the requirement is pointless when you often withdrawal funds to an account in your name anyway, which already required ID to create. And I’d agree. But don’t hold it against the casino. They’re just following the law, however questionable it’s efficiency is. There are numerous websites that enable players to complain, and casinos themselves to respond to complaints. Although they alone shouldn’t be relied on for accurate information, they are perhaps the single most important source of research. But they are not without their problems too. For example, one casino I recommended had a negative complaint on a neutral complaint website. This was highlighted by a visitor of my website. I immediately stopped recommending the casino and asked them about the review. They claimed the matter was resolved, but the person making the complaint had not marked the matter as resolved. I saw the casino had responded to the claim against them, but the player hadn’t responded on the complaint website. So a bit of digging and research is needed before you can consider the accuracy of anything you read. Generally the larger and better-known casinos are more trustworthy. But it isn’t always the case. In particular one of the largest betting companies regularly bans players from playing live roulette, if they win too much. Although casinos have the right to refuse service, it is in my view unfair. If the casino isn’t properly taking steps to prevent their games from being beaten fair and square, that’s their problem. I believe casinos should at least give players a fighting chance. Personally if I ran my own casino, I would carefully take steps to close the opportunities that make games beatable. There is some leeway though. For example, visual ballistics players for roulette need to measure rotor and ball speeds to predict winning numbers. So they need to bet after the ball is released. But outright forbidding late bets would ultimately lose a casino revenue, because they would miss out on revenue from normal players who bet during the spin. It is smarter for a casino only to close bets earlier WHEN a professional player is suspected. My point is it’s fair for a casino to protect their games from professional players, by applying typical countermeasures. But it is in my opinion despicable to ban a player for being smart. Often the players who have genuinely been banned from a game or casino will publish written evidence of it. And you’re best to avoid such casinos because basically you can’t win there – it’s a guaranteed losing situation for the player.